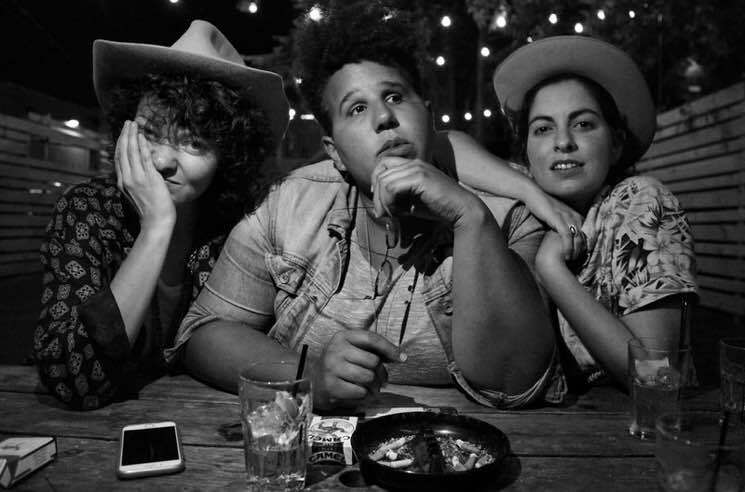 Southern blues rockers Alabama Shakes haven't released an album since 2015's Sound & Color, but leading lady Brittany Howard has been keeping busy. As NPR reports, she's formed a new band by the name Bermuda Triangle. The three-woman lineup is rounded out by fellow Americana enthusiasts Jesse Lafser and Becca Mancari. The group are slated to make their live debut on July 12 at the Basement East in Nashville, but some sleuthing by the folks at NPR has uncovered details about the new project. Their sound is described as "sad dance hall music" and apparently features drum machines, heavy harmonies and a standup bass. The live show will feature unreleased material from all three singer-songwriters, though no formal recording plans are currently in place. "We just sit on each other's porches and play music," Mancari told NPR. "It's the music that I remember that I used to play before I even came to Nashville, when people just played for fun. That's my side of the story at least." In addition to her work with Alabama Shakes, Howard also released a self-titled album from her punk-leaning side-project Thunderbitch in 2015. St. Louis native Lafser has released two solo records to date, while Staten Island-born Mancari is expected to release an album titled Good Woman later this year. Fingers crossed that we'll get to hear for ourselves what Bermuda Triangle sounds like soon.